Thakkali curry or Tomato curry is a Nadan Kerala preparation, which is often prepared at every home in Kerala. My grand ma used to make this curry and i feel nostalgic (as i talk about it)and remember the food she fed us with this curry in our child hood days. She used to make with bhendi and we were crazy about this curry. 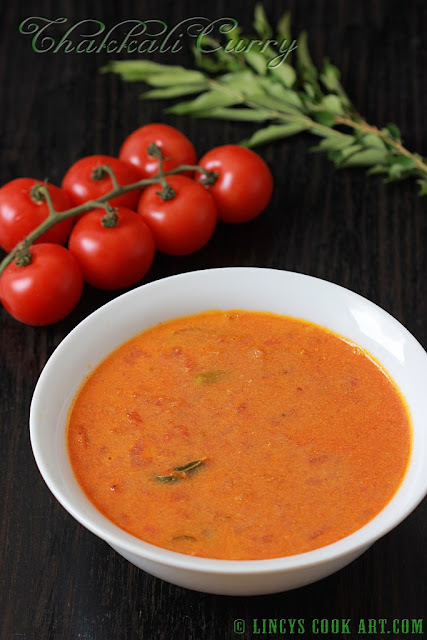 My mom won't prepare this curry very often, but then my younger sister prepared this curry one fine day, years back and from then on I caught on, used to make this curry quite often as it was easy and the tomatoes and coconut are the ingredients that are always available in my kitchen. Like I said it is quite handy and saves time. And when i feel bored of regular sambar, rasam or moor with rice I always shift to make this yummy curry for a change. In a blender jar add the coconut, Jeera and Pearl onion; blend well to make a fine paste; set aside. Heat oil in a deep pan and splutter the mustard seeds; fry the curry leaves. Add the onion and green chillies; cook till translucent pink for about two to three minutes on medium flame. Now add the tomatoes and salt; cook till it starts to become mushy. Add turmeric powder and chilli powder; cook for about a minute till the raw masala smell leaves. Now add one and half cups of water; close with a lid and cook till the tomatoes cooks well to make a gravy. Add the coconut paste and little water if required to dilute the curry. Check for salt and add if required. Allow the curry to make it frothy and starts to boil from the edges. Once the curry is boiled switch off the flame. Do not allow to cook once the curry gets the boiling stage as we have added coconut in this curry. 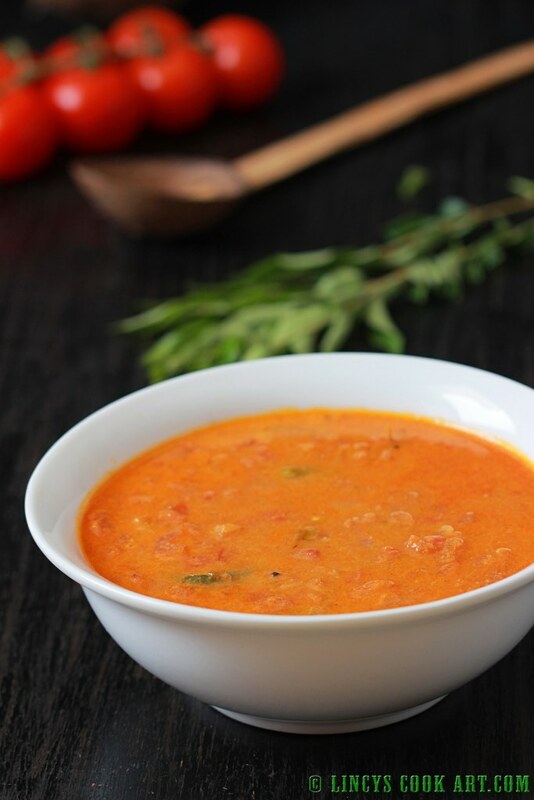 Serve with rice and a dry Kootan/ Thoran/ Poriyal. Note: You could add some garam masala powder with spice powders for variation. Add some bhendi/vendaikka after tempering and half cook them in oil and follow the same procedure for variation.